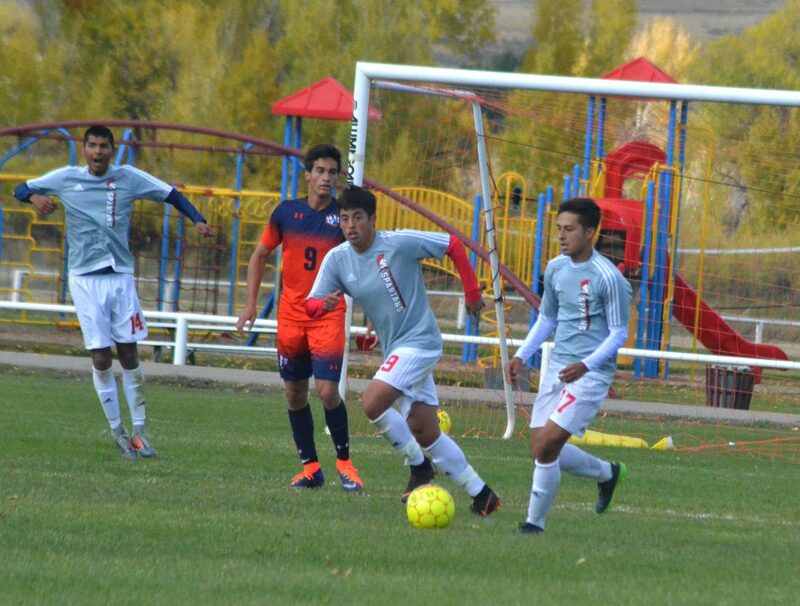 Colorado Northwestern Community College gets back on offense during Spartan soccer's game with Snow College. 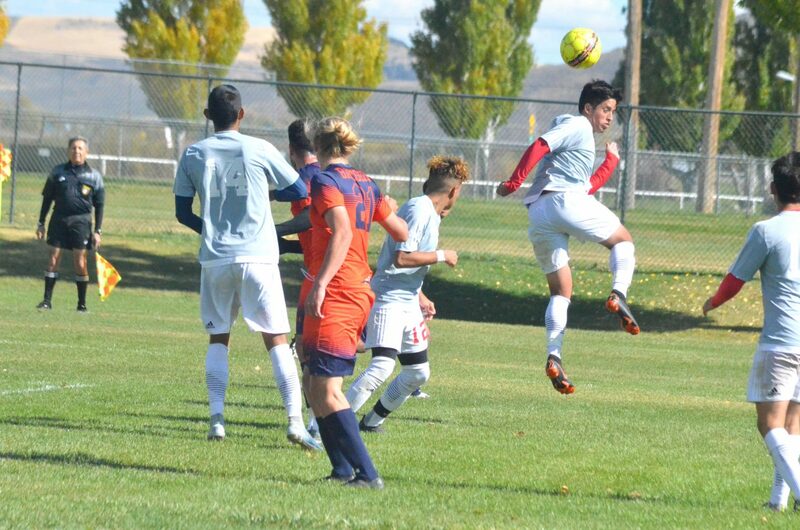 Colorado Northwestern Community College's Roberto Martinez takes a header during Spartan soccer's game with Snow College. 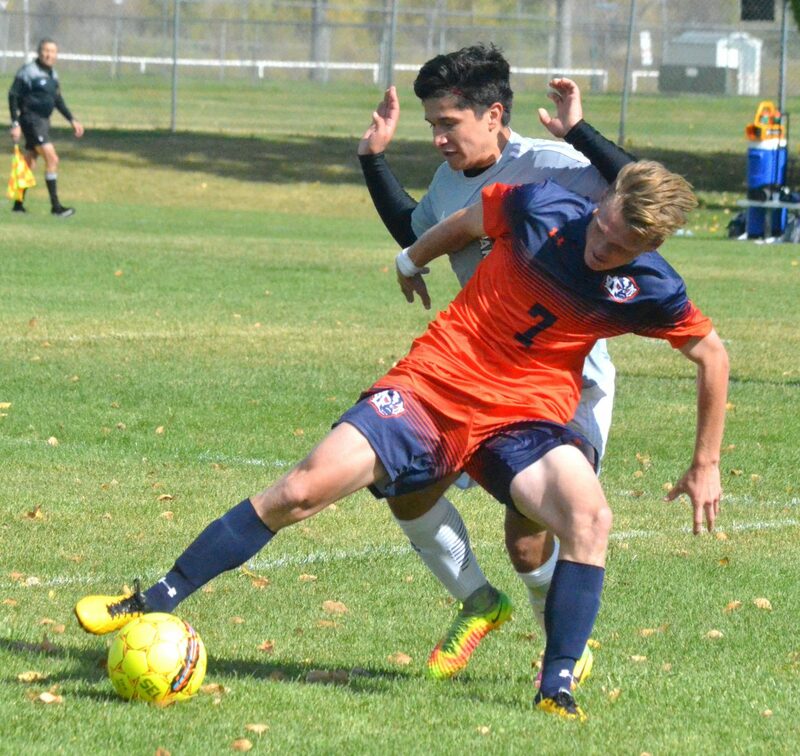 Colorado Northwestern Community College's Ryan Palma gets after the ball along during Spartan soccer's game with Snow College. 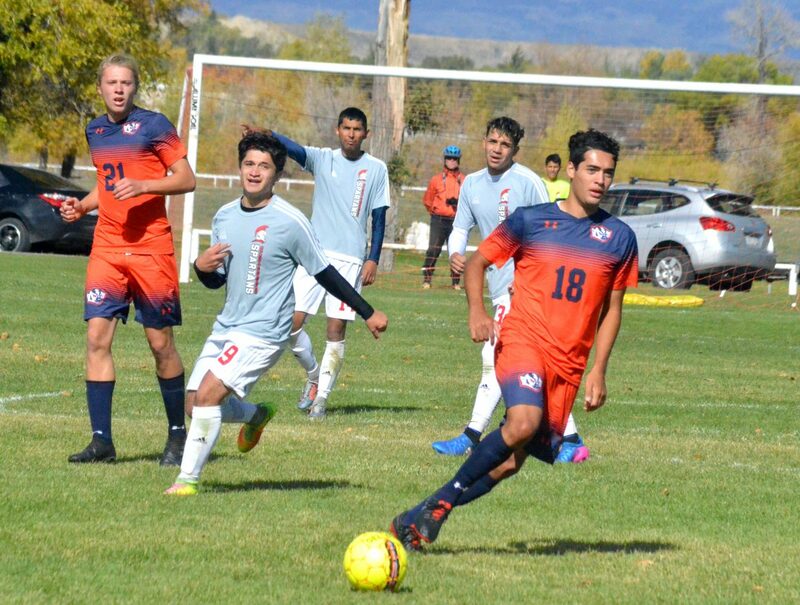 Colorado Northwestern Community College's Juan Loya races after the ball at midfield during Spartan soccer's game with Snow College. 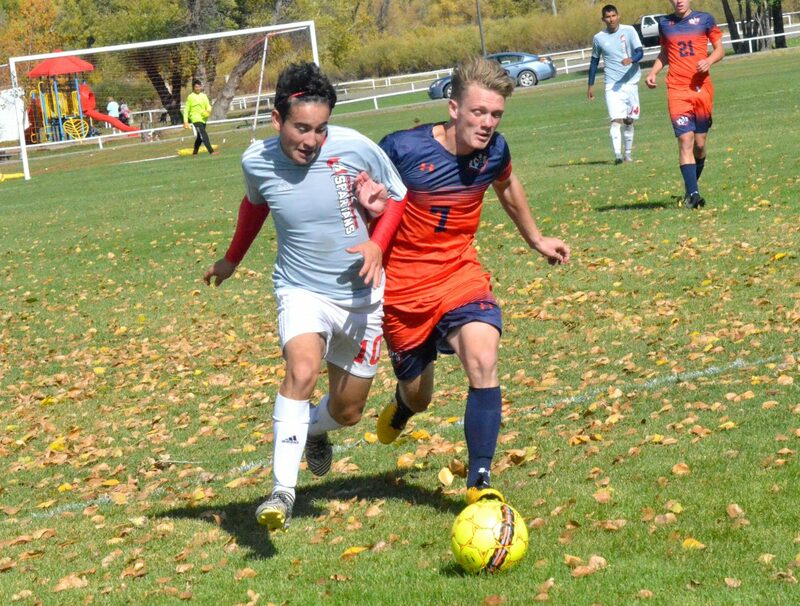 Colorado Northwestern Community College's Ulises Silva works to get to the ball and avoid a foul during Spartan soccer's game with Snow College. 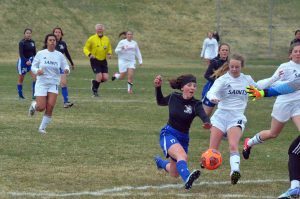 Colorado Northwestern Community College soccer players push forward during Spartan soccer's game with Snow College. 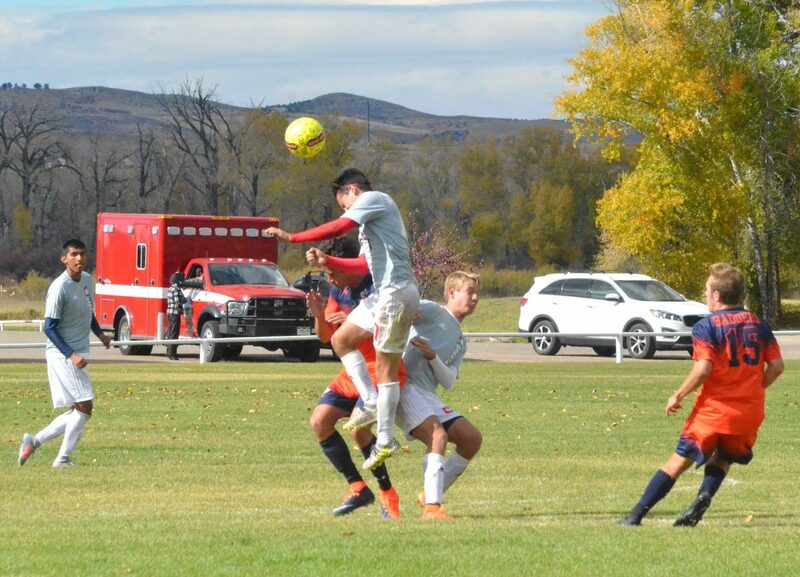 Colorado Northwestern Community College's Cameron Aragon uses his head to move the ball along during Spartan soccer's game with Snow College. A bruising bunch of Badgers kept the men’s soccer team of Colorado Northwestern Community College at bay Saturday afternoon, but the physical match-up nonetheless showed a marked improvement for the Spartans. 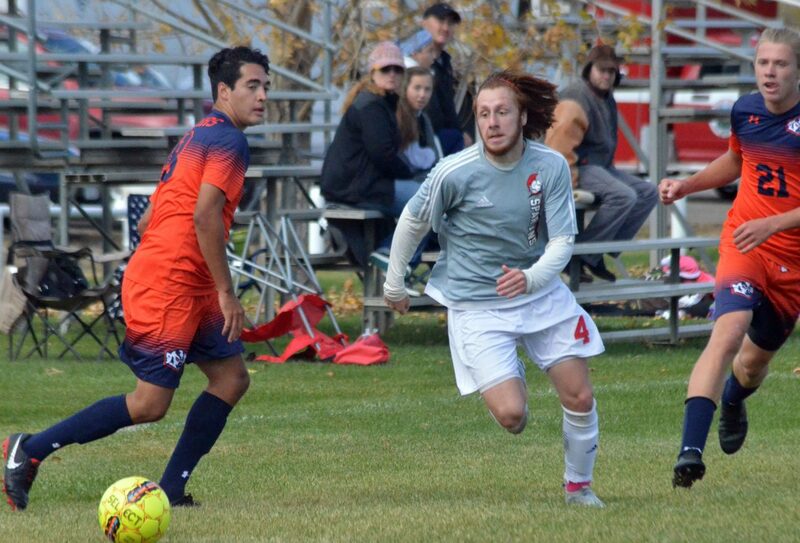 CNCC fell 4-0 to Snow College during the weekend game, the squad’s first time playing at home in more than a month. 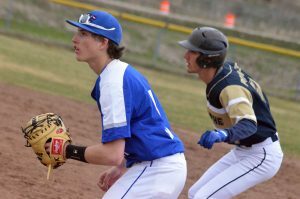 Following dual forfeits Oct. 5 and 6 to Utah State University Eastern due to academic issues, athletes were back on the turf and ready to change up the energy issues that have dogged them, coming off a Thursday road loss of 9-0 against Salt Lake Community College. 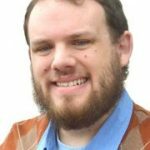 Coach Doug Seigle said Spartans were especially motivated to take it to Snow after the Badgers took CNCC’s first-string goalie Jordan Fraedrich out of commission back in September in Ephraim, Utah. Fraedrich remains on the injured reserve due to a concussion, though Juan Mendez’s time as keeper yielded 12 saves. A defense-oriented strategy kept the Spartans stacked in front of the box for much of the game. Seigle said he’s more focused on protecting the Spartan goal then moving his forwards up too far, largely because he wants to avoid exhausting his small bench. “We’ve tried to keep it a slow-paced game playing conservatively, and our issue has been only having one or two players going up when we really need four or five,” he said. 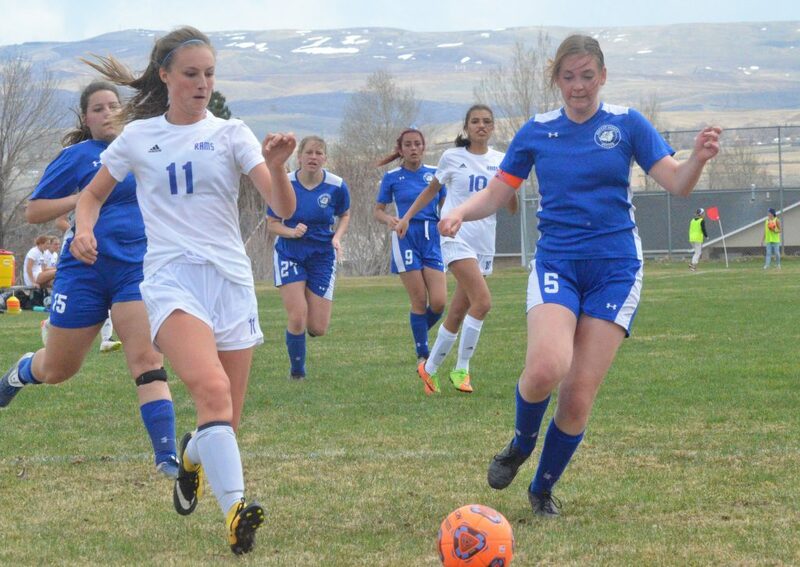 Snow led 2-0 at halftime and scored on a penalty kick and a backdoor goal early in the second half, but even with sometimes brutally physical play throughout the day, CNCC kept working the ball around in what Seigle said was the team’s best game since entering the Scenic West Athletic Conference schedule. “We’re still making mistakes, and that’s gonna happen, but they’re not giving up on each other. 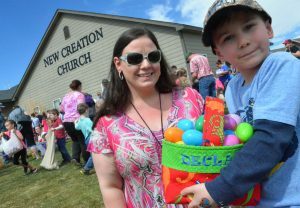 They’re playing the full 90 minutes,” Seigle said. Spartans remain on the hunt for their their first win with two weeks left in the season. They’ll travel to Price, Utah Oct. 18 to face USU and will host College of Southern Nevada Oct. 20 for the final regular season game. The location for the Region 18 Conference Tournament, Oct. 25 to 27, has yet to be determined and is based on the top women’s team in SWAC. 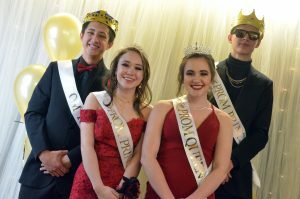 Cameron Aragon noted that even with “a rocky start” to the season, he and his teammates have been able to come together in recent weeks, staying cooler under pressure and offering more support to each other. “It’s still kind of frustrating as an individual, but when you look at it as a team, we’re getting better,” he said.